I prefer him as a farting corpse. 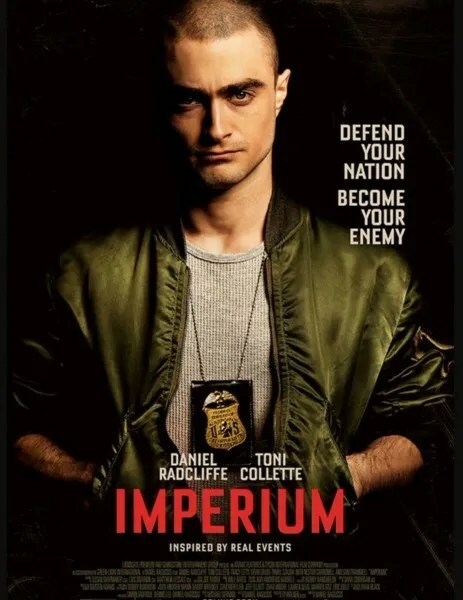 I’ve really enjoyed the trajectory Daniel Radcliffe’s career has taken since the Harry Potter franchise. He’s been taking on a lot interesting and unique roles, and has managed to break free from his HP persona. Hell, I associate him with a corpse now more than I do Harry Potter. And I’m sure that’ll change once again once I seem him go undercover in Imperium. Well, thinks are looking bleak for poor ole Daniel, as the white supremacists seem to be suspicious of him right from the get go. He looks extremely uncomfortable fitting in with these Neo-Nazis, and things are already looking to go south from the get go. Personally, I think the film looks interesting as hell, and I’m getting some American History X vibes from it. Like I mentioned before, I’m just excited to see Daniel Radcliffe take on these new and uncharacteristic roles. He seems to be avoiding big ticket, cash in roles, instead accepting interesting and challenging roles. If that means more films like the fantastic Swiss Army Man, then I’m all for that.